Recently I started seeing chocolate sugar cookies on Pinterest, not only around the holidays. I guess that the most of You think, and I definitely agree, that there is always a reason to make chocolate cookies; no special occasion is necessary. 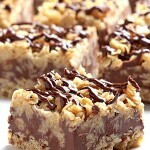 They are thick, incredibly chewy, and even little bit chocolatey. They are, for all intents and purposes, perfect. And Yes, they will make your heart swoon. 1. In a medium bowl whisk together flour and baking powder, set aside. 2. 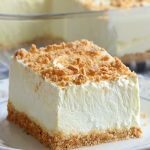 With an electric mixer, using the paddle attachment, cream butter and sugar together until it become light and fluffy, than add egg and vanilla and continue mixing about 1-2 minute. 3. Flour mixture add slowly, about a cup at a time and mix until dough forms and begins to pull away from the sides of the bowl. 4. Gather up dough and knead it with hands a few times. Roll the dough into a ball, wrap with plastic wrap, and refrigerate for about 2 hours.If it’s too hard when you take it out the fridge, just leave it out on the counter a little bit to softens up. 5.Preheat the oven at 350 F and line large cookie sheet with parchment paper. 6. Take out about half of the dough, and the rest leave in the fridge until it’s ready to use. 7. Between two parchment paper, roll out the dough about 1/3 of an inch thick. 8. 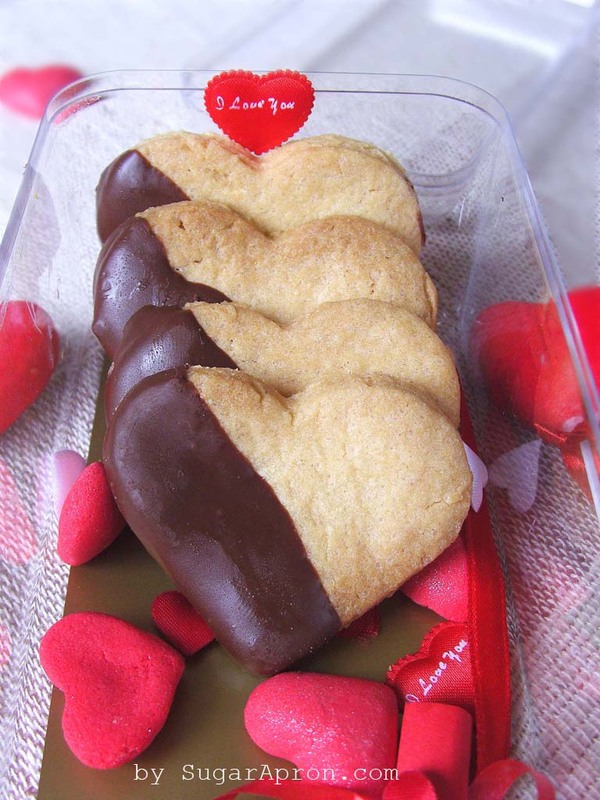 With a heart shaped cookie cuter cut out the cookies, transfer them on a cookie sheet and place it in the freezer for about 3 minutes before you place them in the oven( that helps the cookies to keep their shape while baking). 9. Baking times really depend on size of a cookie. 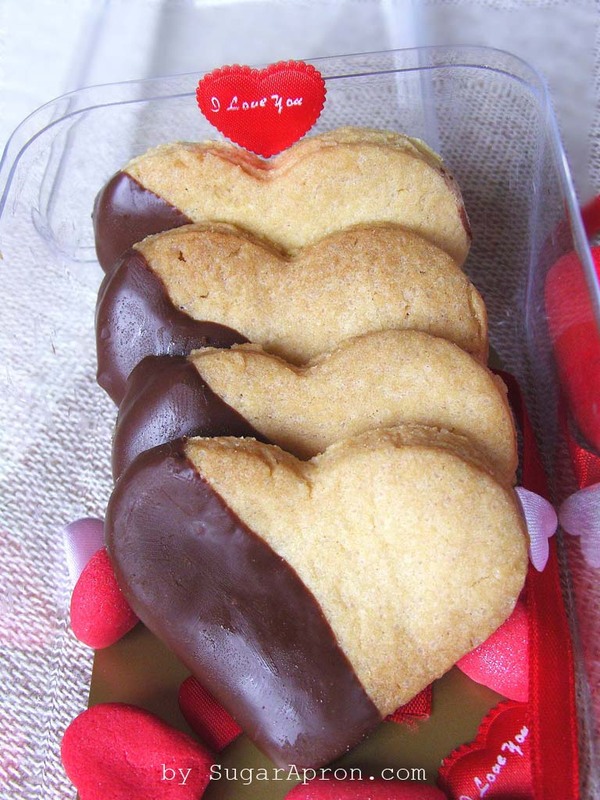 The cookies size about 2-2 1/2 inches need about 8 minutes. After that, take them out from the oven and let them sit on the warm pan for a couple of minutes to firm up. Repeat the process with the rest of the cookie dough. 10. Dip each cookie halfway into melted chocolate,enjoy! 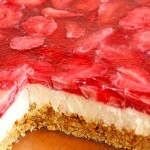 Just love your recipe’s! 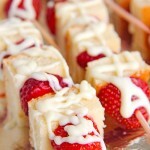 They not only look delish, but they are definitely delicious!! NEXT TO HALF MOON COOKIES THESE ARE MY FAVORITE!!!! THANK YOU!! THESE COOKIES ARE FROM BAREFOOT CONTESSA’S SHOW! IT IS IMPORTANT TO GIVE CREDIT TO ORIGINAL AUTHORS BEFORE COPYING AND PRESENTING AS YOUR OWN WORK! This is my work and my personal blog. Please look at carefully and don’t judge too quickly.